We are always striving to provide the very best levels of service to our customers. As part of this ongoing drive to improve and exceed our own high standards, we now have two dedicated quality control supervisors within our electrical and mechanical teams. Both of these roles are filled by experienced and time served engineers, who are experts in their trade and are able to offer advice and support to other members of staff and clients. The quality control engineers perform audits on work in progress and completed works where electrics or gas fittings are involved. These additional checks in our working process provide extra peace of mind for our customers and ensure that all jobs are completed safely and in accordance with current regulations. Every Gas certificate generated is subject to a desktop audit and all boiler installations receive a work in progress and post completion audit, this applies to all works completed by our highly competent engineers and approved sub-contractors. Any defects or non-conformities which are highlighted throughout this process are recorded and given a timeline for rectification. All remedial works are again verified and inspected prior to any certification being approved. Electrical installations are also checked both during works and upon the completion of projects to ensure that they comply with the latest amendment of BS7671 and also to current building regulations. This applies not only to the installation, but also the certificates generated for every work activity ensuring all standards and regulations are met. 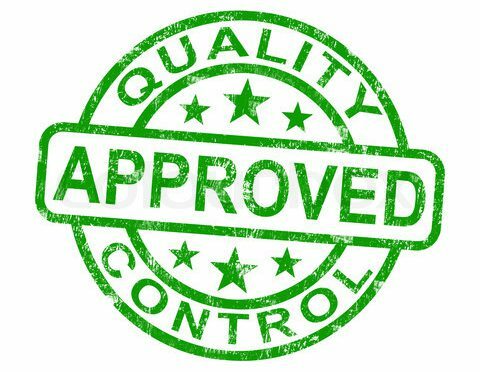 Having dedicated Quality Control Supervisors to undertake the quality control inspections is proving invaluable, allowing us to pick up any training requirements and delivering group tool box talks on any changes in legislation whilst looking at new innovations to ensure the service we provide to our clients is always to the highest standards and giving them peace of mind.